GTEDC’s partnership with Grey Sauble Conservation Authority continues to grow. 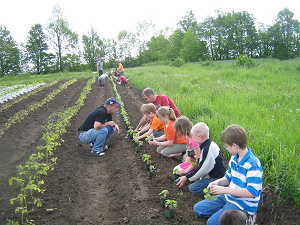 Planting 1500 trees in Grey County on April 23, 2009 is our first project with them. As well, Anne Lennox of Grey Sauble and GTEDC have surveyed an area of Flesherton Hills 101 acres Conservation area, and we expect to work with them and MacPhail Elementary School (meeting held on March 24, 2009) in a long-term educational project on biodiversity plots. Local students will be part of this project 4which looks at habitat and climate change. 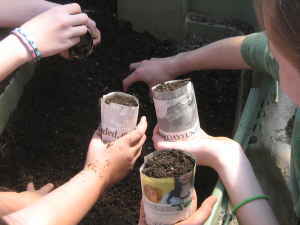 April 22, 2009 brings GTEDC to two local public schools to celebrate our planet. Activities include use of quality microscope, planting seeds, visit from turtles, snakes and chicken, Toronto musician making recycled instruments with children (April 18th only at library), bee-keeping: why bees are important. Equipment shown and honey taste, flowerpots made from newspaper, and designing a garden. This five to seven year endeavour will bring critically needed changes to Ontario Provincial Policy Statement and the Niagara Escarpment Plan. ETEDC is spear-heading the capping of Greenhouse Gas emissions in development projects, both public and private.